If the UK leaves the EU without a deal, EU F gas and ODS regulations will no longer apply in the UK from 30 March 2019. New UK regulations will transfer most of the requirements of the EU regulations into UK law. When the UK leaves the EU, it will manage its own quota systems. If you import or export ODS, including to and from the EU, you’ll need to apply for a UK import or export licence. The Environment Agency could charge regulated businesses to recover costs of running the quota and reporting systems. It will consult before deciding whether to charge. The consultation will include the level of any charges and the activities to which they would apply. If the UK leaves the EU without a deal, the UK will leave the EU F gas system from 30 March 2019. Before 30 March 2019 you should continue to use your EU quota to place HFCs on the UK market. 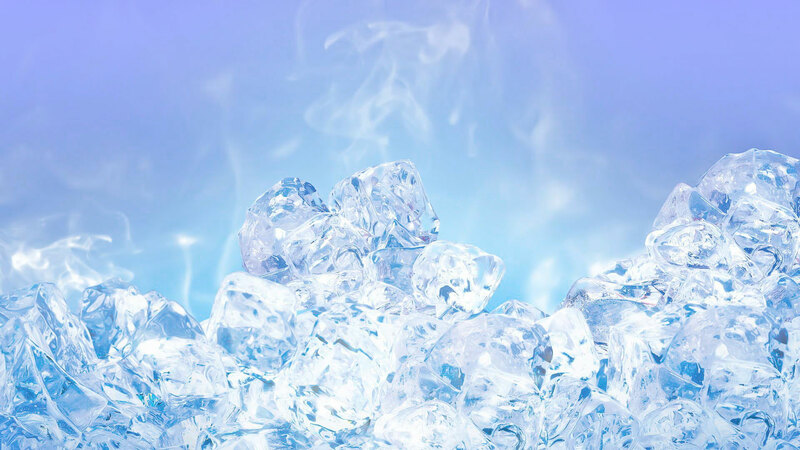 After 30 March 2019 you’ll need a UK HFC quota if your business places on the UK market HFCs equivalent to 100 tonnes or more of carbon dioxide (CO2 ) per year. This total includes any imports to the UK from the EU. The Environment Agency will manage a new UK F gas system, including UK HFC quota allocation. If the Environment Agency has your company data, it may register your details for you. The Environment Agency will publish details of how to use the UK F gas systems in early 2019. An independent auditor must verify the data you provided to the Environment Agency. If you put HFCs on the market for the first time in 2017, you may still be classified as a new entrant rather than an incumbent quota holder. This means you’re not automatically eligible for a UK quota and must apply as a new entrant. Check your reported verified data. Use the data to calculate your UK reference value – this will be the baseline for calculating your UK quota amount. Contact you with your reference value in December 2018. You’ll need to confirm that you want a UK reference value and provide company details. Register you on the UK F gas system with the details you provide. Email you to say they have registered you and provide you with an Organisation ID. Contact you again to tell you how much UK quota you’ll receive for the period 30 March to 31 December 2019. This will be the amount of HFCs that you can place on the UK market in that period. As under the EU system, quota reference values will be re-calculated every 3 years based on HFC quantities placed on the UK market. As with the EU system, a portion of the total quota allocation for the UK will be allocated to those applying for new or additional quota each year. You’ll need to apply for UK new entrant quota even if you had new entrant quota for 2018 from the European Commission. You can use your EU new entrant quota to place HFCs on the UK market only until 29 March 2019. The amount of UK new entrant quota you get may not be the same as the EU quota you had for 2018. After registering, you’ll use the UK F gas system to apply for a quota. In your application you’ll need to specify the types of HFCs and the quantities you’d like to place on the market. The Environment Agency will then tell you the amount of UK quota you have been allocated for the period from 30 March to 31 December 2019. You may get less than you applied for if the total amount which applicants request is more than the reserve. If you want to apply for UK quota again for 2020 and subsequent years, you must do this on the UK F gas system. The Environment Agency will issue a notice each year of the dates when you can apply. If the Environment Agency approves your application, it will publish the quantity you have been allocated on the UK IT system. The Environment Agency will issue new quota holders with a UK reference value which will automatically entitle them to a UK quota in future years. The type of data you’ll need to enter will be similar to the EU registry requirements. The Environment Agency will publish guidance on how to use the UK F gas system to transfer or authorise quota in early 2019. If you import each year pre-charged equipment containing one or more metric tonnes of HFCs, or a quantity of HFCs equivalent to 100 tonnes or more of CO2, you must have a UK quota. This includes imports from the EU. You must register on the UK F gas system to receive quota authorisations and delegations. If you import F gas to the UK solely for re-export and not for the UK market, you may be able to use the inward processing procedure. This would mean you do not need UK quota. If you get bulk gas from an EU-based producer or importer, they could authorise you to use their EU quota to export equipment back to the EU. This is because they will not need to use their EU quota to send the gas to you. Other aspects of the requirements for placing pre-charged equipment on the market will be similar to the EU regulation. These include documenting and verifying quota compliance, and a declaration of conformity. You can apply to exchange your unused EU authorisations, including delegated authorisations, for UK authorisations to place pre-charged equipment on the UK market from 30 March 2019. You can only exchange EU authorisations held before 30 March 2019. If the Environment Agency approves your application they will register the UK authorisations on the UK F gas system in your name. If you do not provide this evidence to the Environment Agency by 31 March 2020, your UK authorisations may be cancelled. If you hold, or want to apply for, EU quota to place HFCs on the EU market, you should continue to follow the EU F gas regulation. The European Commission will allocate your quota, adjusted to deduct your UK market share, from the point at which the UK leaves the EU system. The deadline for reporting and the verification you need to submit to the Environment Agency will not change. The type of data you’ll need to enter will be similar to the EU registry. The Environment Agency will publish guidance on how to use the UK reporting system in early 2019. If you’re based outside the UK and EU and have an only representative based in the UK, you must appoint an only representative in the EU to continue to be eligible for EU quota after exit. The European Commission can advise. Email the European Commission helpdesk CLIMA-HFC-REGISTRY@ec.europa.eu to find out how to specify or change an only representative on the EU system. Alternatively, read the European Commission’s guide on quota allocation, authorisation and reporting. Register on the UK ODS system to get an organisation ID. Apply for a quota on the UK ODS system – specify how much you need and how you will use it. If your application is successful the Environment Agency will notify you how much UK quota you have been allocated for 30 March to 31 December 2019. To get quota for 2020 and subsequent years you must apply on the UK ODS system. You’ll need to apply by 8 June every year for a quota for the following year. For example, if you want a quota to use in 2021, you must apply on the ODS system by 8 June 2020. If approved, the Environment Agency will put your allocation on the ODS system. Instructions on how to use the ODS system will be issued in early 2019. You’ll need to use the new Environment Agency system, instead of European Commission systems, to apply for a licence to import or export ODS, including to and from the EU. The information that you’ll need to provide to get a licence will not change. The Environment Agency will publish guidance on how to register and use the new UK ODS system in early 2019. You still must not trade with countries or territories which are not party to, or do not comply with, the United Nations Montreal Protocol. The Environment Agency will publish guidance on how to use the reporting system in early 2019. The information you need to report will be similar to that reported under the EU regulation. If you use ODS for laboratory and analytical uses you must register on the UK system and submit a declaration. The Environment Agency will publish guidance on when you can start registering and the registration deadline, early in 2019.